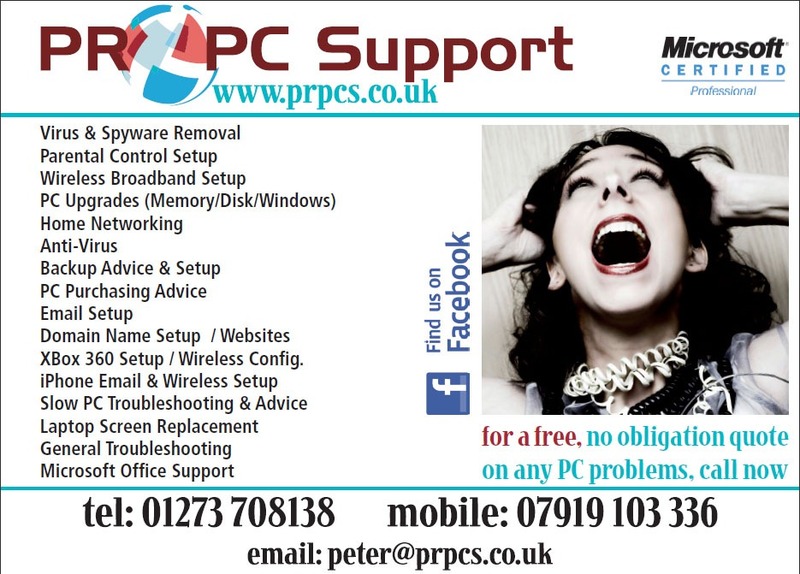 Look out for PR PC Support’s advert in The Deans Magazine during December. The Deans Magazine is a FREE full-colour monthly B5 magazine supporting the local community and local businesses. It is hand-delivered to 6,500 homes and businesses in Saltdean, Rottingdean, Ovingdean and Roedean with copies being placed in shops in Woodingdean.